Looking for inspiration for a baby's name? Check out the most popular baby names of 2017. Happy New Year! Welcome to 2018, mamas. If you’re expecting a baby this year, you’ve probably already peeked at your fair share of baby name lists. The list of the most popular baby names of 2017 is the mother of them, of course! Through our relationship as the newborn photographer service at more than 1,500 U.S. hospitals, we receive baby naming data regularly. 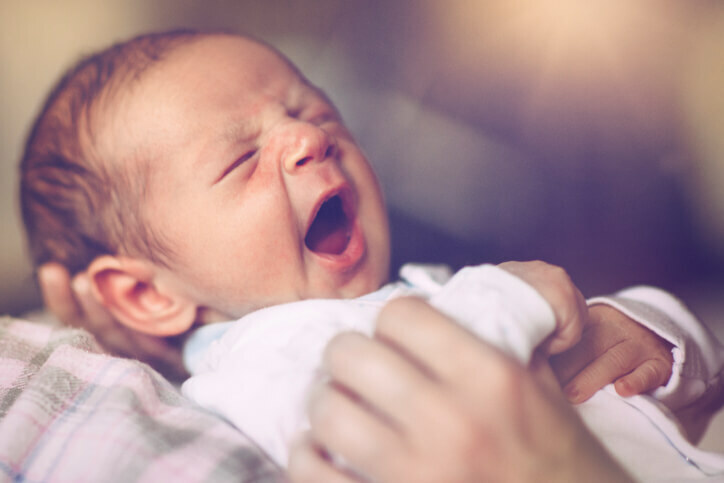 So we’re in the know when it comes to baby name trends, and you can always see the latest in popular baby names with a look at our top 100 list, which is updated daily. When it comes to choosing a baby name, it’s absolutely essential to know the most popular baby names of the year. You should look at it whether you want a trendy name or not, to know if your little Penelope (for example) will one of many Penelopes, one of a few, or the one and only. Then you can decide if the name you chose is too popular, just popular enough, or perfectly unpopular. Now, without further adieu, we give you the most popular baby names of 2017. This Irish-origin name, which clocked in at number two in 2016, nudged past Noah for the number one spot. The king has fallen! The biblical favorite finally topples off the throne and lands at number two. Elijah continues to heat up. From the number nine spot in 2015, to number five last year, and now number three… better watch your back, Liam and Noah! This Scottish-surname-turned-first-name is something of a dark horse, landing at number four when it was a mere 25th most popular back in 2015! Parents continue to love Mason, although just a tiny bit less than previous years. The classic James is holding steady mid-chart. Popular but not overly so, Ethan continues to perch on the upper end of the top ten. Only slightly less popular than the previous two years, Jacob rounds out the top ten most popular baby boy names of 2017. After being dethroned by Olivia last year, Emma is once again tops for baby girls. She made it to number one last year, but in 2017 she fell back to second place. As it’s been for the past decade, Ava remains in the top ten, retaining her number three position. The lilting Isabella is no stranger to the top ten, having been here for more than a decade. After many years at number one, Sophia has started to be slightly less popular (though she’s definitely still running with the cool girls). Parents still have adore the impish Mia, who’s not budging in either direction. Upwardly mobile Amelia, who eeked into the top ten last year, continued her ascent in 2017. After making some big jumps up the list over the past decade – in 2007 she was barely scraping by near the hundredth position – Charlotte has settled in on the upper end of the top ten for the past couple of years. The biblical name spent a couple of years at number seven, but dropped to number nine in 2017. And that’s a wrap of the most popular baby names of 2017! Which ones do you love? With so many returnees on the list, it’s common to experience weariness with a popular name. Are there any you are just over? If you're still on the hunt for a name, be sure to check out our complete list of the most popular baby names. Get the most recent trends with the most popular girls names and boys names of this year.